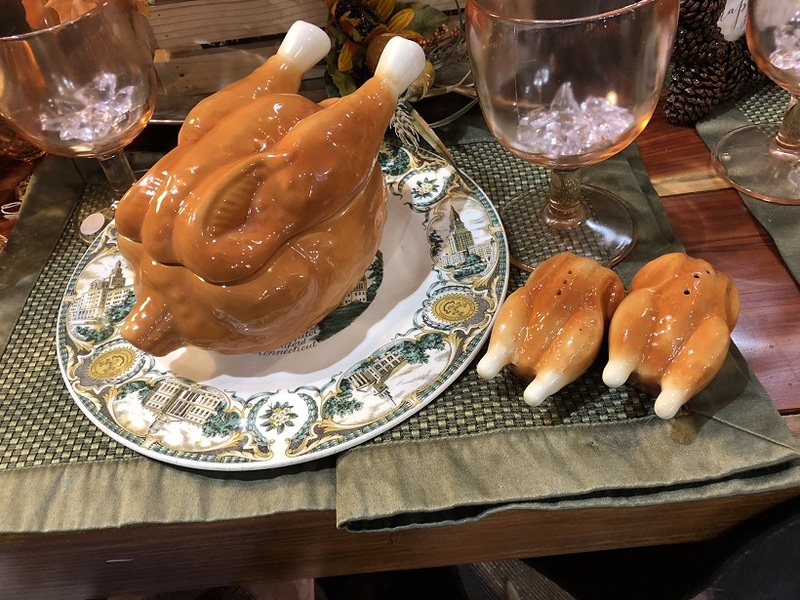 This entry was posted in Everybody Has a Story and tagged antique shop, antiques, ceramics, chicken, cookie jar, funny, humor, Janice C Johnson, poultry, salt pepper shaker. Bookmark the permalink. 2 Responses to What IS This, Anyway? Casserole dish? Or a dish to serve something savory in. Perhaps a dead turkey dish. Better than a live turkey dish I suppose, except for the turkey. My best guess, Jan, is, it’s a very “special” Thanksgiving Holiday gravy boat, complete with,…ahem, “creepy” salt and pepper shakers. It wasn’t accompanied by a ceramic ladle by any chance, was it?